As always, Dyson performs fabulously! As the owner of a Dyson upright vacuum for many years, I have been a long-time Dyson fan. It was an easy decision to buy another Dyson, but which one? When I moved into a home with stairs, I found that the upright was a bit too heavy to hoist onto the carpeted steps and decided to buy a Dyson Big Ball Canister. The lightweight "wand" and rotating brush easily reach each step (a total of six) and do a great job of picking up the dirt and dust left in a high-traffic area. For flat areas, the Big Ball canister rotates/travels effortlessly with me as I pull it around the floor. 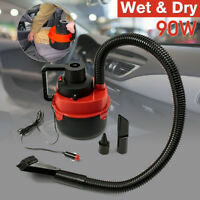 It is also useful to have a power cord that quickly "retreats" into the vacuum with the quick push of a single button. I purchased a refurbished model and when I opened the box, I saw no difference between a refurbished and a new model - except the price was lower. If you are considering a Dyson, please think about buying a factory-refurbished model, as you will get the same Dyson quality for less. Why buy new when you can get a Dyson refurb and save a few hundred dollars while you're at it. This works just as good as a new Dyson and the suction is incredible. Moves from hardwood to carpet to tile with no fuss. We have a carpet that sheds quite a bit in our living room and always had fuzz balls shortly after vacuuming. With the Dyson, the shedding has virtually disappeared. The Dyson basically cleans like we've never seen before. Happy with the purchase. Way easier to use than my old upright. Easier to clean. Much quieter. Only issue is the on/off buttons appear to be made of plastic and I believe over time, eventually they made crack or break. I'll need to treat them kindly to keep this vacuum in good condition for a long time. The spinning floor brush made for carpets is powered by the vaccum, not electricity. This brush doesn't seem to be as powerful as vaccums with a carpet tool powered by an electric motor, but it's good enough for weekly cleaning of my shaggy area rug. All in all, satisfied with this purchase. (house is mostly hardwood, with one area rug). You Can't Go wrong with a Dyson! 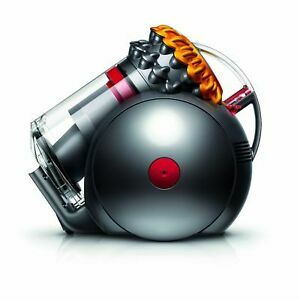 This is my second Dyson Canister vac, I had a similar model that was also bought refurbished about 10 years ago. It still works great but I needed something bigger than my Shark hand held wand vac in the vacation home. When this baby went on sale at 200$ I had an excuse to upgrade my primary home vac and retire the other to my secondary home. I have to say the new technology after a decade of fine tuning is extremely noticeable. The head sticks to the ground and is hard to pry off thinner carpets even with the trigger open. I can't complain because there's so much more power than my old dyson. I can see dust bunnies come toward it before I'm actually close. The upgraded drum release that cleans the canister is also a better design. The plug and length of electrical cord has also been addressed. My oldie has a big honkin yellow replacement since its cord was so bloody short compared to my shark uprights. Kudos to Dyson for addressing these issues and concretely advancing the design to a superior level. I will always be a Dyson products supporter and refurb unit buyer. The lower price just makes that product all the more pleasant to own.